The baths of ancient Rome were an important part of the culture and society for nearly everyone and was a defining feature of this empire. The Roman baths were typically called thermae, taken from the Greek word for hot, and if they were smaller establishments or privately owned, they were often called balneae. Bathing was among the common daily activities of ancient Romans and was prevalent not just among the elite but other classes as well. The difference was that the elite and wealthy classes could afford to have baths in their homes while the rest enjoyed the facility of public baths. These baths were also the most important place for general socialisation of the people from different backgrounds. The practice of public baths was overtaken by the Romans from the Greeks and therefore the history of Roman baths can actually be traced back to ancient Greece. The earliest findings related to public baths have been located in the palace complexes at Knossos, Crete as well as in Akrotiri, Santorini. Both these baths date back to the second millennium BC. The Roman baths were inspired by this Greek practice, although the Romans overtook the Greeks in the grandeur and style of these baths. The first public baths began appearing after the Second Punic War and their number continued to increase with the passage of time. One of the famed heated Roman baths that were incredibly popular with this civilisation. The Roman baths were very important in Roman culture because these public baths were the most important places for socialisation of people from different classes and backgrounds. The larger ancient Roman baths were even accompanied by villas, town houses, libraries and forts. The social gradations of the Roman society were also reflected in the culture of ancient Roman baths and there were three separate entrances to these baths. One was reserved for men, one for women, and another one for slaves since rich people brought slaves with them to attend to their bathing needs. However, different times were reserved for men and women. Bathing in ancient Roman baths was almost a daily ritual for most Romans, regardless of their class and social status. Bathing was usually done at the same time every day, mostly in the afternoons, and could go on for hours. Additionally, an elaborate process of getting ready for baths was undertaken such as changing in the dressing room and it is thought that Romans wore a light covering called a subligaculum with special sandals during bathing. 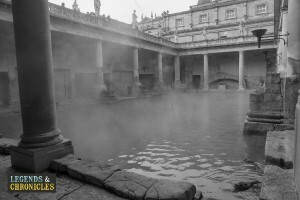 How were Roman baths run? The Roman baths included baths made by the government as well as privately operated baths. A small entrance fee was charged for anyone wishing to use the baths. For private baths, this entrance fee was used to pay staff which performed various functions such as heating the water, massaging, and taking care of other arrangements. A ‘hypocaust’ was used to heat ancient Roman bath houses. It was a system of lifting the floor of the ground using pillars and allowing hot air to flow through the rooms. Water was brought to the baths from various water sources using the famous Roman aqueducts. It was common for wealthy Romans to set up their own baths in their homes, particularly in their country villas. However, this did not mean that the rich people did not frequent the public baths. As a matter of fact, the rich people as well as the senatorial class visited the public baths. For the senators and the emperor, this provided an opportunity to endear themselves with the people of Rome and increase their popularity. In ancient Rome, baths where an essential feature of public life and it was common to build public bath houses even for the legions of the Roman army while on a military campaign. 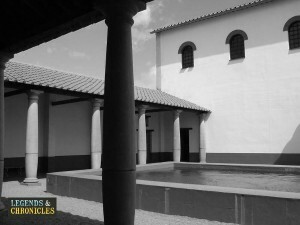 Furthermore, the military leaders and soldiers who were injured during battles were rewarded by the emperor with public spaces for leisurely activities and therefore it was common to see soldiers frequenting the public baths. An example of a private Roman bath. A wide range of ancient Roman baths were built by the Romans throughout their empire, although the most magnificent of these were found in the city of Rome itself. One such famous Roman bath was the ‘Baths of Agrippa’ which was built by Marcus Vipsanius Agrippa. It was the first great ‘thermae’ constructed in the city. Water was supplied to this bath through the aqueduct of Aqua Virgo which was completed by Agrippa in 19 BC. Various decorations such as glazed tiles and works of art were used in this impressive bath house. The largest of all ancient Roman baths were the baths of Diocletian. These baths were built between 298 AD and 306 AD. Originally commissioned by Emperor Maximian in the autumn of 298 AD, the construction continued during the eras of Diocletian and Constantius. These baths were constructed on the smallest of the Seven Hills of Rome, Viminal. The baths were extended over an area of 120,000 square meters with the central hall being 280 by 160 meters. The second largest among Roman baths in the city of Rome were the Baths of Caracalla which was built between 212 AD and 217 AD during the reign of Emperor Caracalla. These baths were quite grand and were even accompanied by a public library. Additionally, bronze mirrors were mounted overhead to reflect the sunlight into the pool. To allow for storage and furnaces underneath the building, the bath area was built on a 6 meters raised platforms. Some parts of the baths were destroyed by the Ostrogoths during the 6th century while others remained intact till the 19th and 20th centuries when they were renovated. The Roman baths were among the most essential cultural aspect of ancient Roman life. These baths were found not only in Rome but also in other provinces of the kingdom and reflected a special cultural aspect of the Roman Empire. However, the practice of building public baths itself was inspired by the ancient Greeks. The baths were mainly constructed by the government but various private baths also existed. The practice of bathing in these baths was generally very elaborate and followed various rituals. Remains of some of the finest Roman baths from the ancient Roman Empire still survive to this day.